By now many of you may be aware of the ongoing partnership between Trane La Crosse, Big Brothers Big Sisters, and State Road Elementary. The program started a few years ago and seeks to pair Trane employees with kids who would benefit from mentoring from adults who are not their parent or teacher. Mentors spend one hour/week with their Little at State Road engaged in activities such as reading, homework, educational games, lunch buddies, and even recess. Along with several colleagues, I started in the program last October. At first it was challenging to bond with my Little and demonstrate to teachers that our time spent together was worthwhile. But soon our relationship grew into a strong bond based on reliability, caring and trust. My Little (and his classmates) are SO exciting when I show up! His teachers were great about creating space for us to work together and often commented on the improvements in behavior and attitude they observed. Business travel was never an issue, as long as I communicated my schedule in advance. My Little and I hit it off so well that I transitioned from site-based mentoring to community-based, allowing us to get together 3-4 times/month outside of school.  Big Brothers Big Sisters sponsors monthly events but has also negotiated discounts at a number of establishments in town, allowing us to have fun at little or no cost. So far we’ve gone bowling & miniature golfing topped off with ice cream! Future events may include roller skating, glazing, and a Logger’s game. I was so happy after our first outing that I barely held back tears of joy while driving home. I’m sharing my experience with the hope of peaking interest in the program. There is a backlog of Littles in our community just waiting for a great Big like you! My job is as crazy and demanding as yours (with an insanely busy schedule outside of work), but I am always able to find 1 hour/week for my Little and it has turned out to be one of the best experiences I’ve ever had. Austin was enrolled in the Big Brothers Big Sisters program by his father, Matt, in February of 2011. Matt made the decision to enroll his child in the program after finding out that he would soon be deployed to Afghanistan. Matt, a single father, felt that it was important for his son to have a positive male role model in his life while he was overseas. Matt knew that it would be a struggle for his son to be away from his father and wanted to make the transition as smooth as possible. Austin was matched with his Big Brother, Kyle, in February of 2011. Matt attended Kyle & Austin’s first meeting so that he could introduce himself before he was deployed. Soon after the first meeting, Matt was deployed to Afghanistan. Kyle and Austin started meeting weekly and soon developed a positive rapport. Kyle was someone that Austin could talk to have fun with. Austin’s time with Kyle was a way for him to be a kid and not worry about his father being overseas. When Austin moved on to middle school the match transferred to the Community Based program. Austin and Kyle were then able to meet outside of school and try new activities together. They were able to connect on a deeper level and find out more about their shared interests. Kyle and Austin met during a difficult time in Austin’s life and were able to form a friendship that will be lifelong. The bond that they have formed has changed both of their lives for the better and they will forever be Big & Little. “Community-based BBBS can reduce youth’s aggressive behavior, improve relationships with parents, prevent minority boys from initiating illegal drug use, and improve girls’ academic performance." “One-year match history status was a statistically significant predictor of fewer total arrests – one-year match history was a statistically significant predictor of greater likelihood of post-secondary attendance, lower likelihood of a property offense, and fewer total offenses. In addition, among participants with low parental education one-year match history predicted greater likelihood of post-secondary attendance and among younger participants it predicted greater likelihood of post-secondary degree completion." Mike entered the Big Brothers Big Sisters office on April of 2013 with an open minded. He had heard positive things about Big Brothers Big Sisters through his peers but was unsure what to expect. From the start, it was apparent that Mike was a positive and optimistic individual. He was open to being matched with any child and just wanted to make a positive difference in someone’s life. Mike was matched with 10 year old Aaron in May of 2013. Aaron was enrolled in the program by his mother that felt he needed a positive male role model that he could look up to. Aaron had a tendency to view the world with a glass half-empty attitude so BBBS knew that Mike would be the perfect fit. When Mike and Aaron first met a natural connection began to form. Aaron enjoyed Mike’s fun and positive attitude and Mike enjoyed encouraging Aaron to see the best in everything. Mike and Aaron have now been together for more than two years. Aaron is never hesitant to say that Mike is the best Big Brother and that he would never want another Big. The bond that Mike and Aaron have formed is unwavering. They will be friends for life.